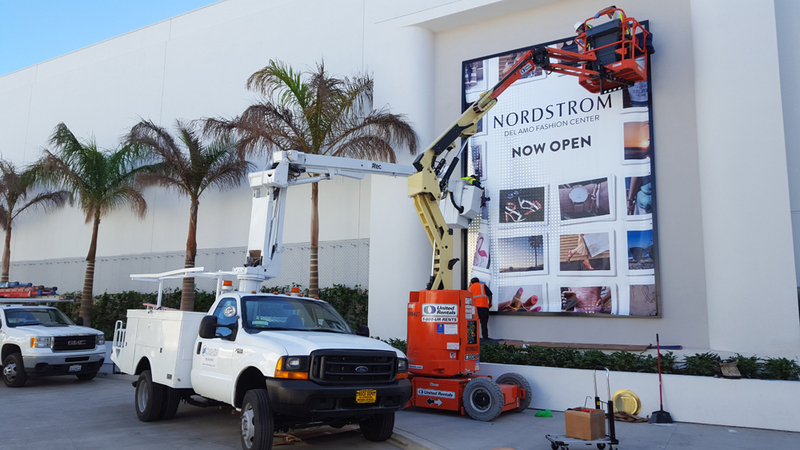 Morales Signs and Graphics is a Family own and Family operated Sign Company that specializes on manufacturing, service, repair, and maintenance of signs, as well as installation and removal of existing signs. With over 20 years of experience we continue to provide quality, safe, on budget, and on time service to all of our customers. Morales Signs and Graphics is located in city of Lynwood, Ca, and will travel to any location within a 100 mile radius for regular daily services. If needed, at your request, we are able to travel to farther locations. We have a fleet of well maintained, fully stocked service and installation trucks with experienced operators and technicians ready to work for your company. Morales Signs wants to be here for any sign needs your company may have, please don’t hesitate to call us and we will be glad to be of assistance with any of your upcoming sign projects.